Are you a fan of unique but meaningful tattoos? Tattoos are a great way to show your inner self through body art. A lot of people put serious effort and thought before getting inked. And that is how it should be done. If you’re going through so much pain to get a tattoo, which will be permanent on your body of course, then shouldn’t you choose a tattoo that says something more about your personality? 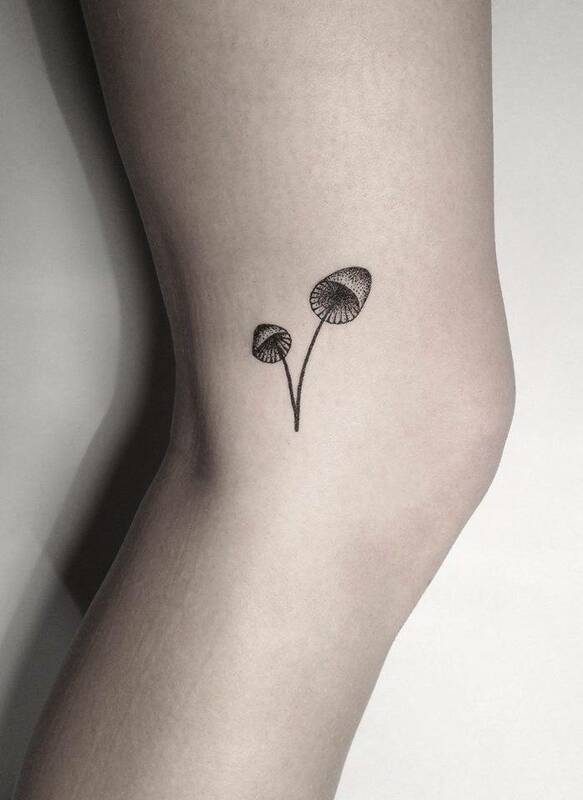 We have some mushroom tattoo ideas, which you might want to consider before going to the tattoo parlor. 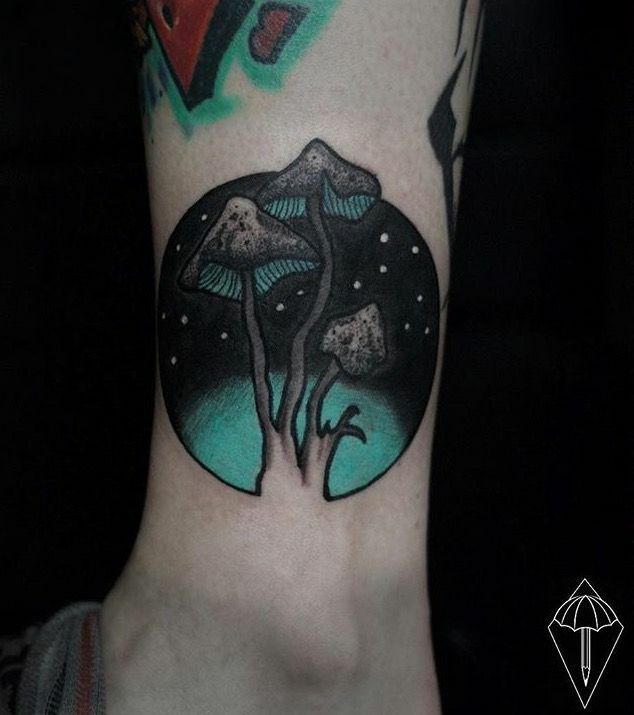 Although they are not very common but mushroom tattoo designs are getting really popular among the fan of fiction art. 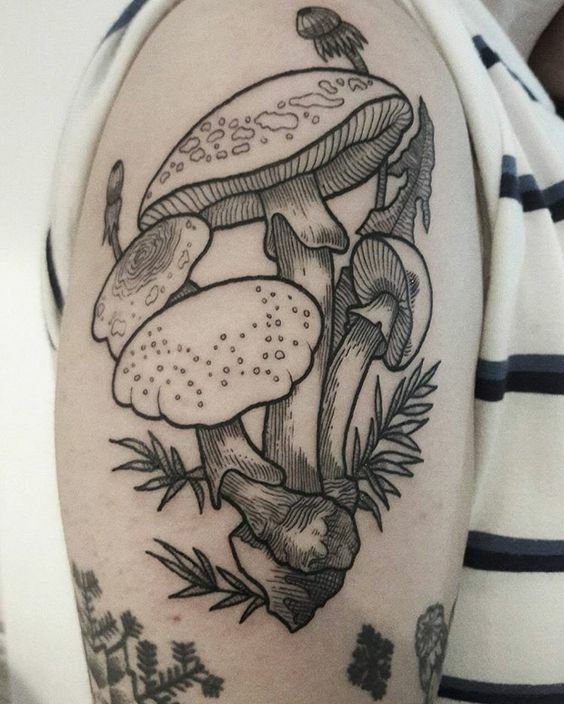 “Why would someone get a fungus tattoo on their body?” You might ask. 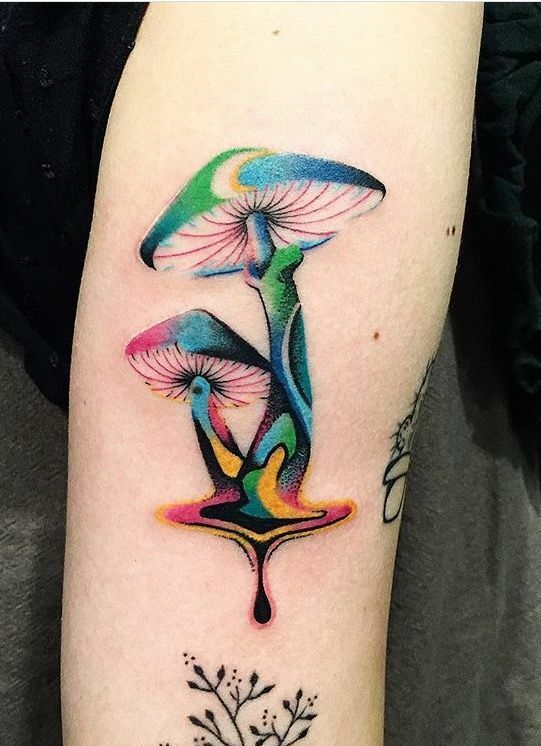 Well we did some digging and found out that the mushroom tattoo meaning is very deep and profound. 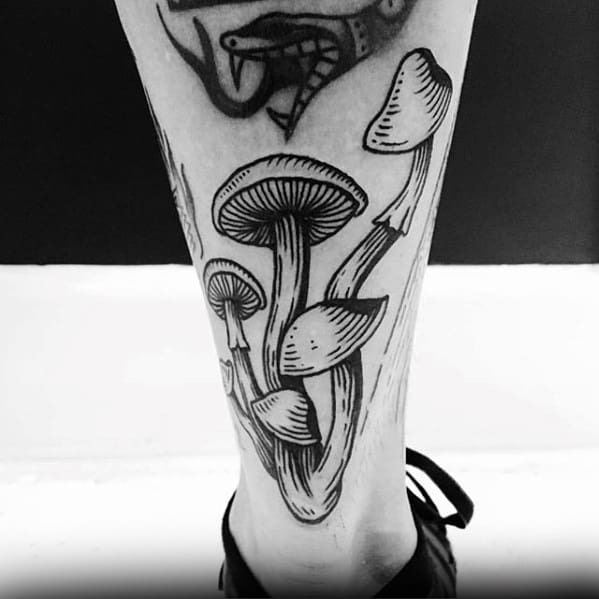 Mushrooms tattoo designs are a sign of great power and life. As you would already know, mushrooms have the characteristic of growing in the wild, without the requirement of hard living conditions. 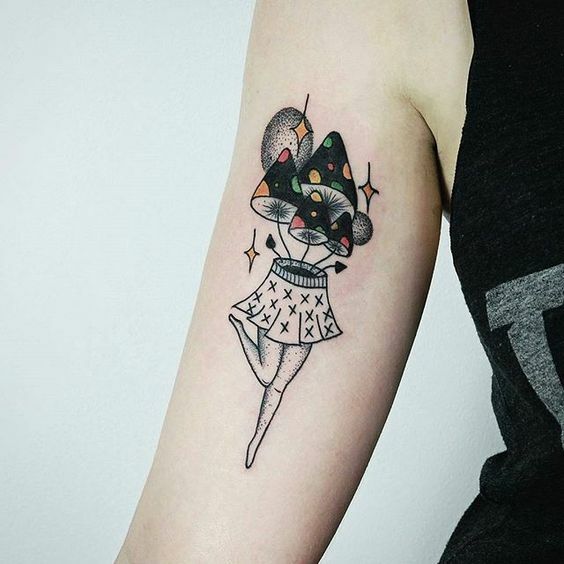 Many people go for a small mushroom tattoo on their arms or other part of the body, symbolizing longevity and personal growth. 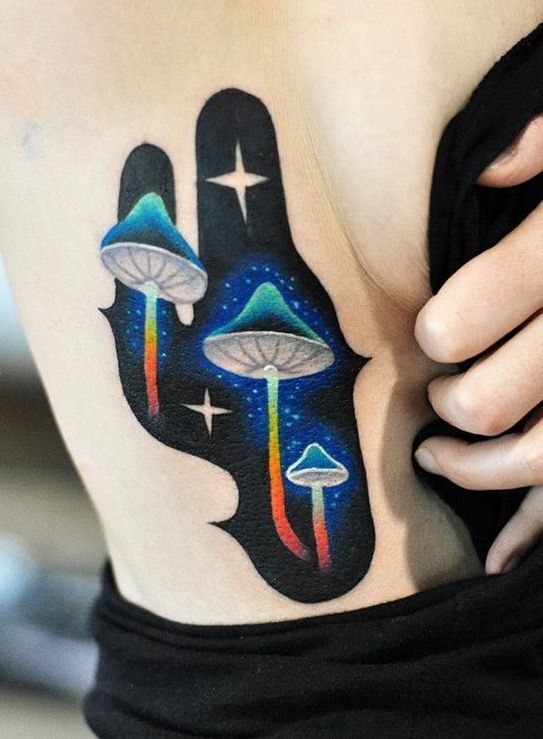 Others like to relate the magic mushroom tattoo as a bringer of good luck into their lives. 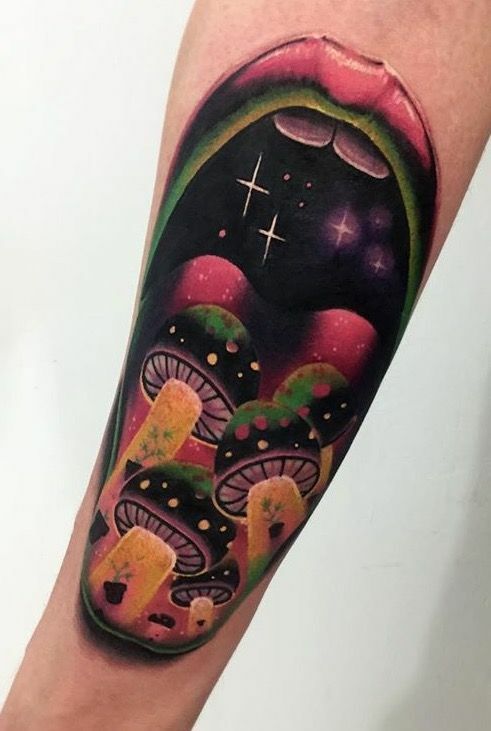 A lot of people also consider having a mushroom tattoo on their body will bring them goodness in their lives. 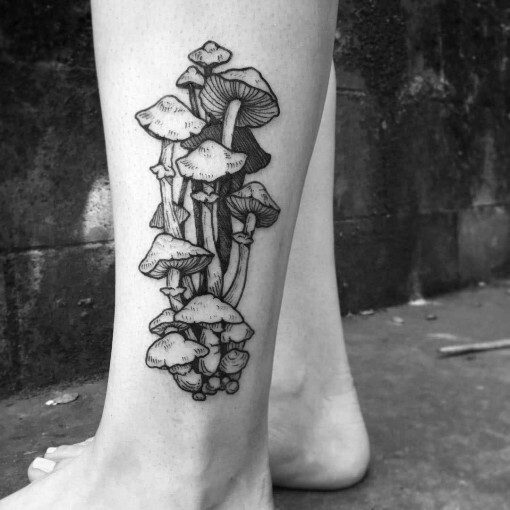 We’ve rounded up some of the best 25 mushroom tattoo designs for you to look at. 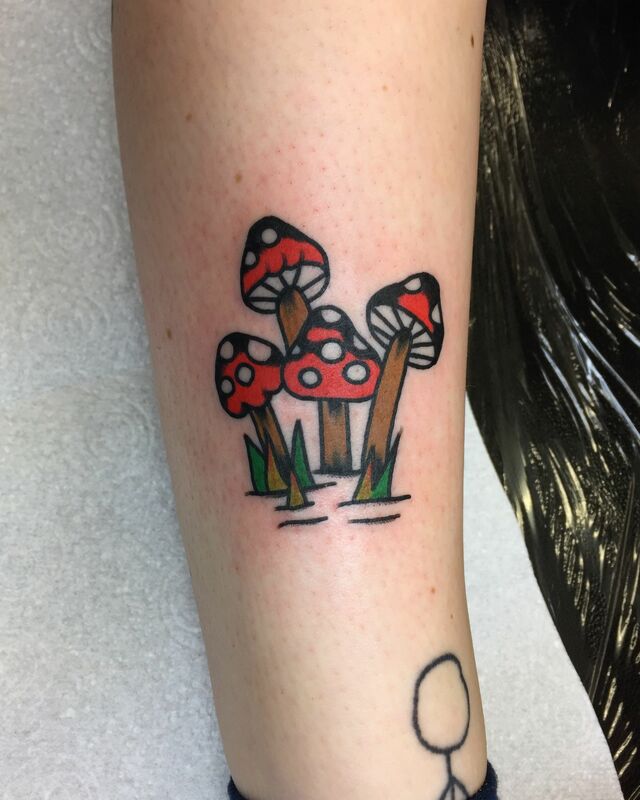 Who knows maybe you’re next tattoo design can actually be that of a mushroom! Make sure you’re going to a trusted and experienced tattoo artist. Do your proper research if it’s your first time and take recommendation from people who’ve undergone the procedure before. If you are conscious about the needle, you can ask the tattoo artist to change it in front of you. Be sure that you are not allergic to the ink that is being used by the tattoo artist or the instrument which will be in use for the inking. Whatever you have in your mind about the tattoo you want, be open to the artist. Explain exactly how and where you want your tattoo to be. Don’t hesitate. Be patient with the work. Let the tattoo artist take their time with it. Don’t get in the way of them working, sit back and relax and wait for the magic to happen. 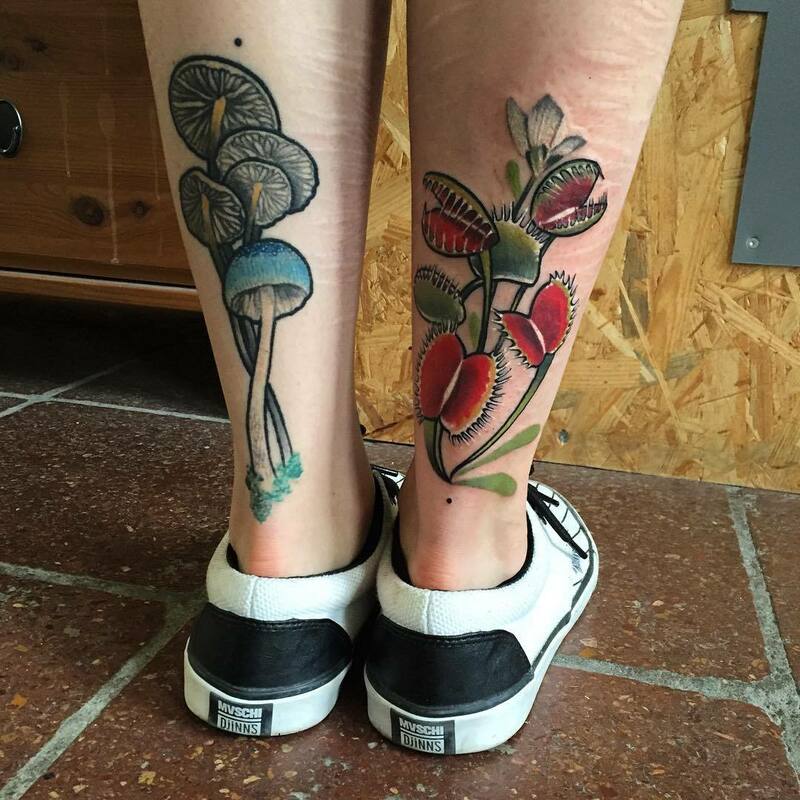 Choose the mushroom tattoo design very carefully and discuss the outcome of it with your tattoo artist beforehand. They might be able to suggest you some creative ideas for your tattoo.